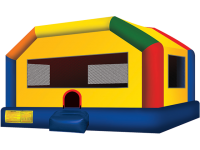 Jumping Castle Hire Melbourne - Hire a bouncy castle today! 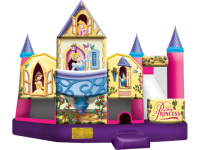 If you're looking for the best Jumping Castle hire in Melbourne, we can help. We are passionate about making your event a fun and memorable experience with no stress. 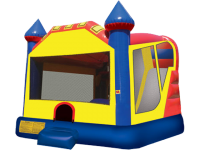 We are one of the largest and longest standing Jumping Castle companies in Melbourne, Ballarat and Geelong with a large team of professional installers. We've helped tens of thousands of events over the past 10 years. Our promise to our customers is our outstanding customer service, delivery guarantee, quality equipment and castles that meet all Australian Standards. 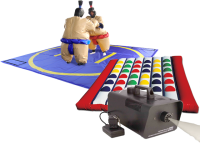 We can even stay and supervise the equipment at your event for added saftey and hassle free. 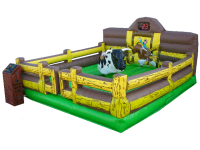 Birthday parties, Sporting Club events, Fundraising events, Corporate outings, Fetes & celebrations, Christmas functions, Bucks & hens bashes, School functions, weddings and more. 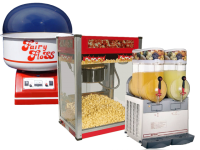 Jumping Castles, Mechanical Bucking Bull, Fairy Floss Machines, Popcorn Machines, Bubble-making sensations. Everyone loves a smooth, successful, fun party in Melbourne. So do we! Over the past 10 years, we've helped thousands of customer create that perfect hassle free celebration. Our operators are the best in the business! But don't take our word for it. Click here to see what our customers throughout Melbourne have to say. Fantastic amusements for extra activities! Don't forget the food and beverages! Read what other satisfied customers have to say! Log in to Facebook below to see our latest offers!